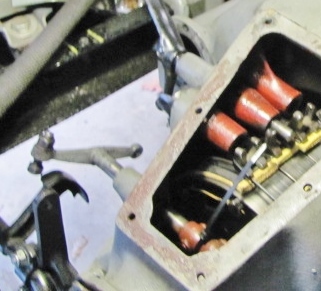 Model T Ford Forum: Were does the clutch fork go? Were does the clutch fork go? 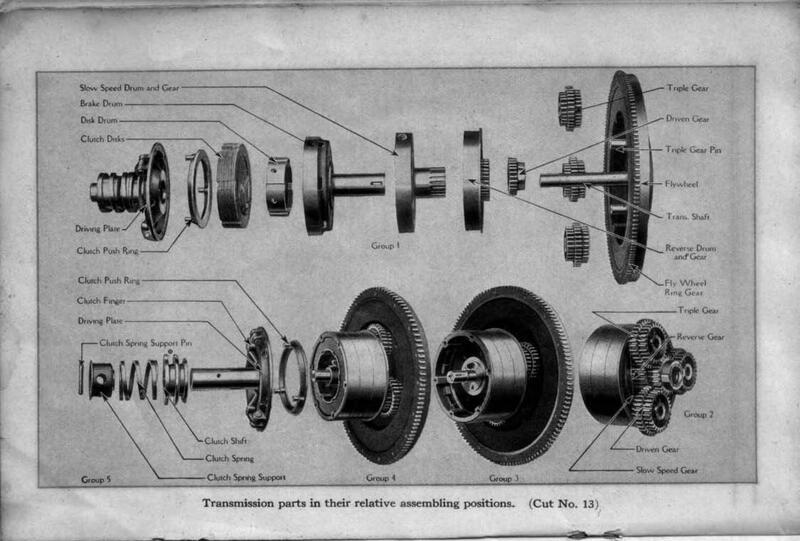 Model T Ford Forum: Forum 2014: Were does the clutch fork go? Does the clutch fork go where the dot is on the clutch shift (below the word "support")? Thanks Bill for the quick reply AND the encouragement. 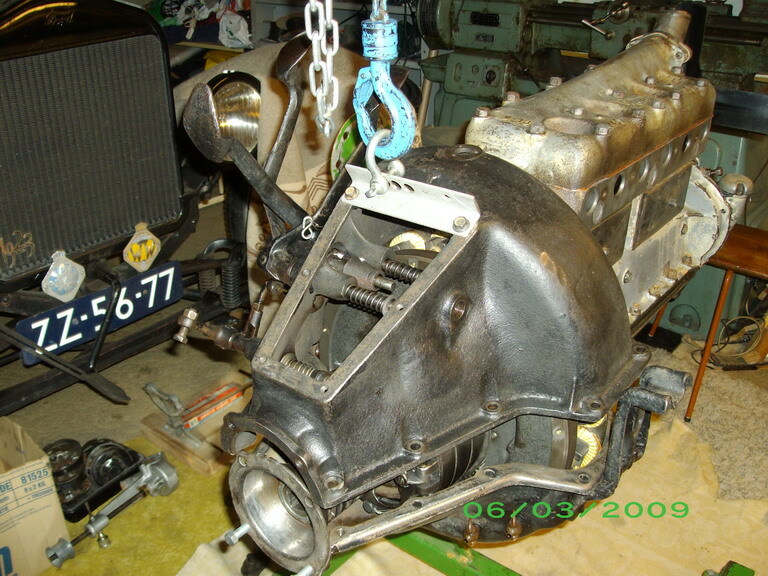 A tip on installing the hogshead with that clutch fork swinging on the clutch shaft into the groove. Usually it dangles and can be hard to drop into the rear groove, as you have already both hands on the heavy iron hogshead. So prior to placing the hogshead, secure the floppy fork with a nylon tie, to the shaft. Sorry for lousy picture, but you can see the nylon zip tie. 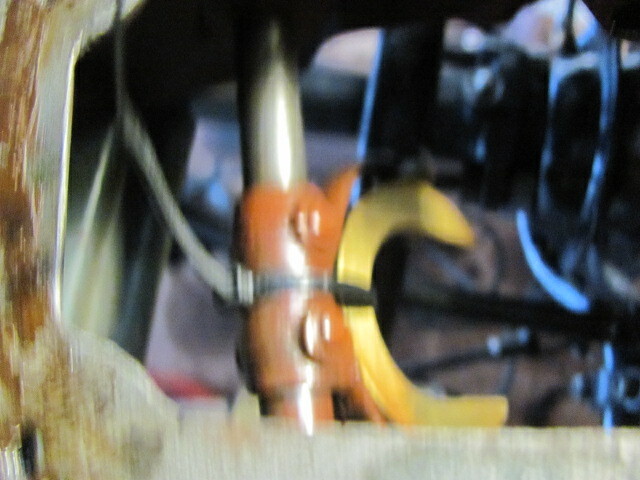 Then with the fork secure, left hand can hold on to the clutch lever, like a handle and keep it straight, for the fork to fit into the rear groove, while the right hand holds the other side of the hogshead as you lower it over the crankcase. Look close and you can see the nylon tie strap, easy to remove after the hogshead is placed. That is an excellent tip, Dan - thanks ! Those iron covers are HEAVY ! When you use a hoist,that save you a lot of time and trouble. Thanks Dan. I saw your pics on an earlier post. The tie worked great! That is also an excellent tool there, Toon ! But being Italian, I don't have enough arms/hands to operate the rigging & talk !!! ......an' if ya' also chewed gum, my engine would probably STILL be in your shop!